Elizabeth Hartman blogs at Oh, Fransson! 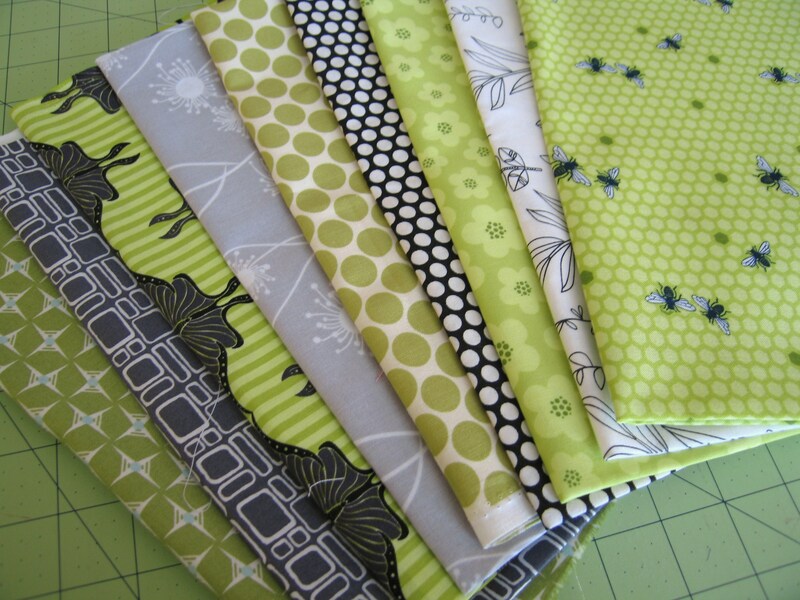 In her own words: "I mostly make quilts and I describe myself as a modern quilter. I’ve written two books: The Practical Guide to Patchwork and Modern Patchwork, the latter of which will be released in May 2012. I also write patterns for quilting and sewing projects, many of which are available free on my blog and some of which are available for purchase in my online shop. If you’re in the Portland, Oregon, area you can also check out my classes at Modern Domestic." 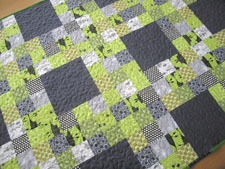 It's a super-simple nine-patch baby quilt (38" x 53") that you can make with just nine fat quarters and 2 - 5/8 yards of a coordinating solid for both the front and back. I used Kona Coal. Binding is Kona Grass Green. The quilt back is a little quieter, and features four "floating" blocks. Enjoy! 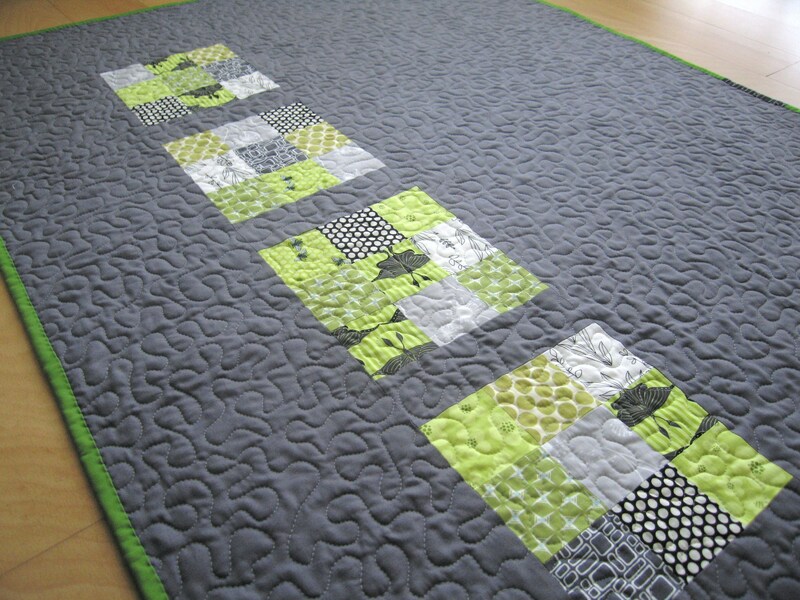 Visit the tutorial page for this quilt on her website: Oh, Fransson! Finished Size: 38" x 53"
Having trouble downloading this pattern?